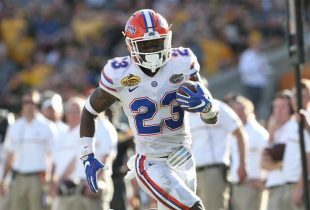 Steve Spurrier may have retired from coaching in his new role as ambassador and consultant for the Florida Gators, but he has most certainly not left the spotlight. And now the Head Ball Coach will have a new medium in which to throw his verbal barbs. Spurrier will begin serving as a college football analyst for SiriusXM satellite radio beginning Aug. 15, according to Sports Illustrated‘s Richard Deitsch. Spurrier will make three appearances per week for SiriusXM College Sports Nation (channel 84) — Tuesday from 11 a.m. to 12 p.m., Wednesday from 5-6 p.m. and Thursday from 8-9 a.m. 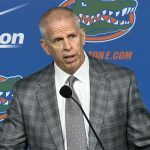 This will not preclude him from continuing his role at Florida, which has been a boon for the university since he was brought back on July 29, 2016. Spurrier has since served as Mr. Two Bits, named (but not named) a starting quarterback, taken shots at LSU and participated in the Gators’ spring speaking tour. He has also made frequent media appearances, including as a regular guest on The Paul Finebaum Show. The more HBC, the better.